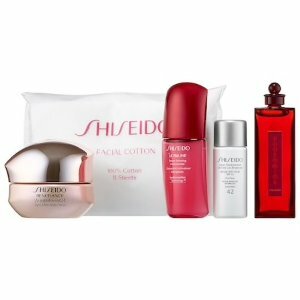 Sephora.com offers limited edition Shiseido Best Seller Set. for $60. Plus, choose a free trial size moisturizer with $25 purchase, via coupon code SKINGLOW . Or, et a free trial size Fresh Soy Face Cleanser with $25 purchase, via coupon code SOY .